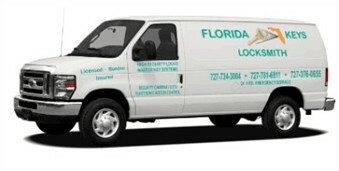 Florida Keys Locksmith is a full service locksmith and security company. We are family owned and have been serving Pinellas and Pasco Counties including the Tampa Bay Area for over 26 years. We are a proud member of ALOA Associated Locksmiths of America and (FWCLA) Florida West Coast Locksmith Association. We are fully equipped mobile locksmith that comes to your home or business location. Some of the many services that we offer are lockouts, rekeying and repairing locks, installing deadbolts, high security locks, electronic locks, door hardware, sliding glass door locks, keyless entry locks, mailbox locks, selling new and used safes, opening and repairing safes, moving safes, bump proof locks and much more. Commercial services include deadbolts, access control, door closers, emergency exit devices, safes, and many more. Whether you are in need of securing your home or business or for any other security need, call Florida Keys Locksmith. A 24hr same day mobile locksmith service. We will find you a quick, secure and economical solution to all your security needs. Give us a call today to schedule your appointment. 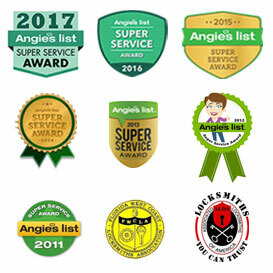 We have provided quality services to countless clients over the years and we hope to add many more satisfied customers to that roster, including you!